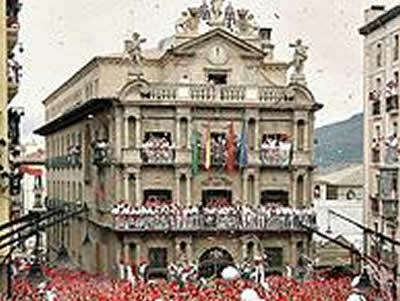 Every year, from 12 noon on the 6th of July until midnight on the 14th of July, the city of Pamplona celebrates the Fiesta de San Fermín, when the old city resounds with unending and reverberating music, when dancing through the streets becomes the mode of public transportation, and when the unpredictable becomes the norm! 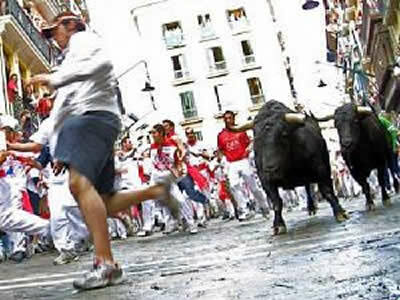 Morning bullruns in Pamplona have made the San Fermín Fiesta famous worldwide! Tourists flood the city from all parts of the globe, causing the population of the town to NEARLY double during this time. 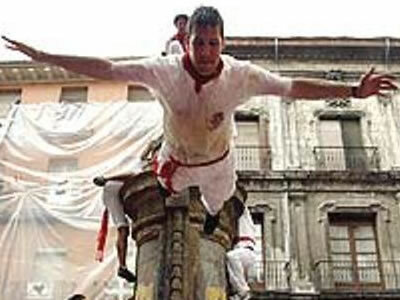 But, there is so much more to the San Fermín Festival than just wild bulls running through the cobblestone streets of Pamplona! 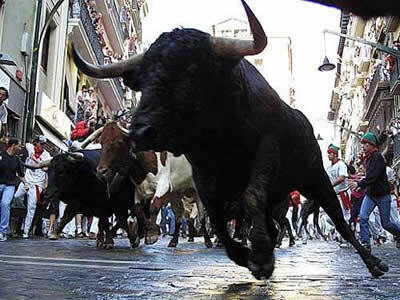 In honor of San Fermin, the patron saint of Navarra province, there are many other traditions that happen throughout the week - some religious and some not-at-all-religious! 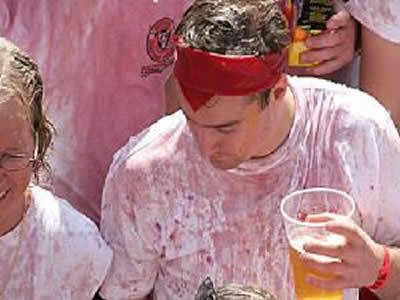 The Festival is literally a 24 hour/day experience with activities for all ages to enjoy! And, yes, the sanfermines are a great "family fiesta" - you will see family members from 9 days old to 99 years young.....all having the time of their lives!! 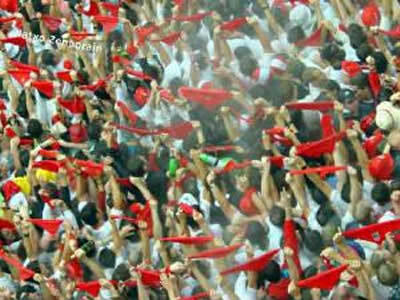 In Pamplona, be prepared to expect some of your most unforgettable travel experiences, ever!! We'll see you at the sanfermines, 2019!